Village residents Gary Armstrong, Keith Bossom and Nick Reed are participating in a 100km walk from London to Brighton on May 25-26 to raise money for Action on Hearing Loss. 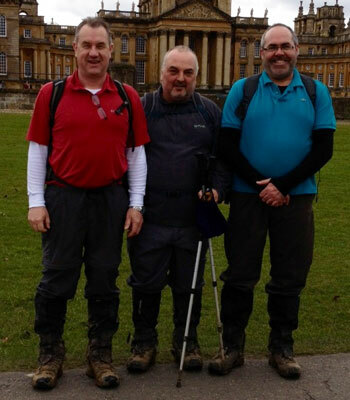 The trio describe themselves as “three fat 50-year-olds trying to walk further than we have ever walked before, with dodgy knees, backs and the occasional bout of gout to contend with!” As of today (May 2), they have raised just over half of their £1,200 target. Anyone who would like to help them reach (and hopefully surpass) that target can make a donation here.